Many of you have probably noticed the somewhat wistful little note in my sidebar. Thanks, Mom. It's awesome. 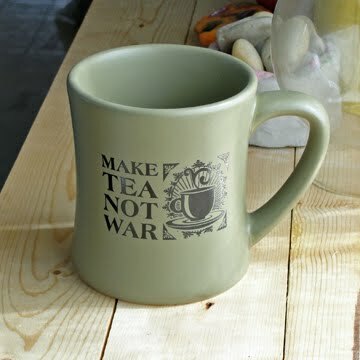 Not to mention, I could stop at least two wars a day with the amount of tea it can hold. I think that is the whole idea of tea, isn't it? If we all drank more tea together, this world would be a much better place.